The donkey has been the traditional ‘beast of burden’ and in many countries is still a working animal. Originating from arid and semi-arid areas, donkeys have evolved to survive on tough, stalky forage which has a low nutritional value. In the UK however, the donkey has become much more of a ‘pet’ or companion animal and their affectionate nature makes them a treasured member of any family. This leisurely lifestyle often means that donkeys are fed far more than they require which can lead to problems such as obesity and laminitis. How Much Does a Donkey Eat? Like other herbivores, the donkey has evolved to spend most of the day eating so that they can consume sufficient low nutritional value forage to meet their requirements. Donkeys are also very efficient at getting the most out of the feed they are given and so they can put on weight quickly if given high calorie feeds. Research has shown that on average a donkey will eat approximately 1.3 – 1.8% dry matter of its bodyweight per day. For a 180kg, or around 10hh donkey, this equates to 2-3kg dry matter per day. Alfalfa is a member of the legume family that also includes soya, peas and beans. Legumes are known for being a good source of quality protein and alfalfa is no exception. It is also rich in naturally occurring vitamins and minerals which research has shown helps to create healthy hooves, but contains very little starch and sugar and so is ideal for helping to avoid problems such as laminitis. Dengie Fibre Feeds all contain alfalfa and whereas the Alfa-A range contains pure alfalfa, the Hi-Fi range combines other fibre sources such as straw and grass with the alfalfa. For donkeys that maintain weight with ease, feeds from the Hi-Fi range are most appropriate and can even be used to extend or replace hay/straw. 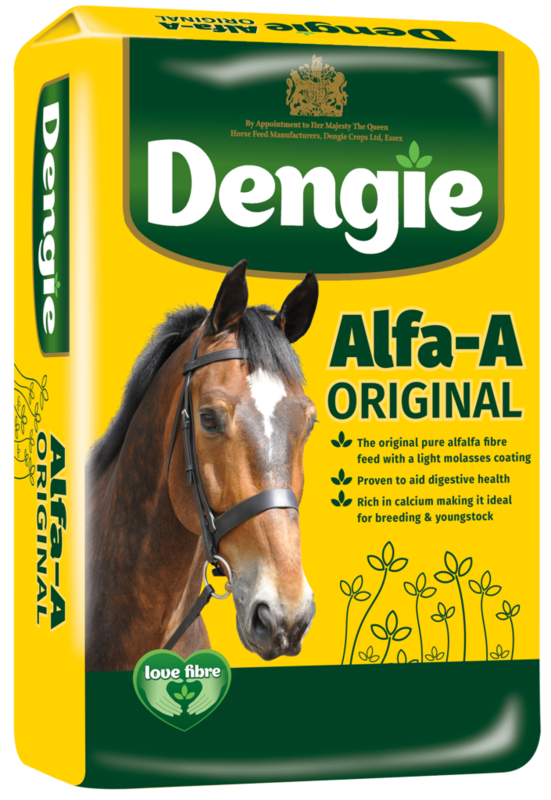 For donkeys that struggle to maintain condition or need weight gain then the Dengie Alfa-A range products may be more suitable. The basic feeding strategy for many donkeys is trying to provide sufficient fibre to maintain healthy gut function without too many calories so that they don’t put on too much weight. This usually involves using feeds such as Hi-Fi Lite or Hi-Fi Good-Doer, which provide fibre without too many calories. There are a number of problems that can affect donkeys that require a specialised feeding programme. Examples of these are given below. Laminitis is becoming an ever-increasing problem in the donkey population and can result in severe lameness and even death. There are many causes of laminitis, the most frequently identified is inappropriate feeding and management. The main culprits of feed related laminitis are excessive intake of water-soluble carbohydrates (sugars), which includes fructans found in grass, or starch from cereals. Rations for laminitics should therefore focus on managed grazing and low sugar and starch rations as well as weight management. Lolly is 11hh, weighs 220kg and has had laminitis over the summer. Her owners were concerned as they wanted to make sure she didn’t put on more weight, but only had access to really good hay. 3-4kg of Hi-Fi Lite as a hay replacer with half a measure of Dengie Natural Vitality Leisure Vits & Mins supplement. Hi-Fi Lite is a blend of alfalfa and straw with a light molasses coating. With a sugar level of approximately 7%, Hi-Fi Lite has less sugar than average hay, which would typically contain about 10% sugar. It is also low in calories making it suitable for donkeys that need to lose weight. Ideally the daily ration should be divided into frequent small meals so that the time Lolly is without feed is kept as short as possible. An overweight donkey is not a healthy donkey. There are links between obesity, laminitis and other health problems. It is therefore vital to ensure that the donkey is maintained at an appropriate bodyweight. Daisy is 9hh, weighs 160kg and is overweight. The majority of calories she consumes come from grass and so the main strategy is to try and limit grass intake. The most convenient way to do this for her owners is to stable her for some of the day. While Daisy is stabled she can be fed 2-3kg of a combination of straw and Hi-Fi Good Do-er to provide fibre but with limited calories. If good quality straw is unavailable then Hi-Fi Good Do-er can be used as the sole feed. Hi-Fi Good Do-er is a blend of cereal straw and alfalfa with added vitamins and minerals and spearmint oil to aid palatability. It is the lowest calorie Dengie Fibre Feed and is particularly beneficial for donkeys that need to lose weight. As donkeys age, their teeth can become worn and loose. At this stage donkeys can often be seen to ‘quid’ on long stem forage such as straw and hay; a tell-tale sign that this is occurring is a pile of balled up forage accumulating beneath the haynet. As fibre is so important to the donkey’s health, it is vital that alternative sources of fibre are introduced to the diet. A short chop hay replacer product such as Hi-Fi Lite or Hi-Fi Senior is an ideal way of providing fibre that is much easier to chew. A soaked product such as Alfa-Beet is even easier to chew and will help to promote improved condition for those donkeys that need extra weight. Hi-Fi Senior is a blend of high temperature dried grasses and alfalfa that can be used to replace the hay/straw ration on a weight for weight basis. Alfa-Beet is a blend of alfalfa and unmolassed sugar beet, which, as it is fed soaked, carries water into the digestive tract, which can be beneficial in helping to maintain good hydration. 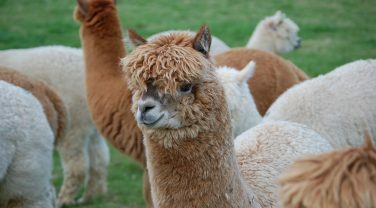 When Henry started to struggle to chew hay his owners moved him onto a combination of 2kg Hi-Fi Senior and 0.5kg (dry weight) Alfa-Beet. They fed this mixture in a large bucket and as Henry is still a really greedy donkey they put large, smooth pebbles on top to help slow him down and keep him occupied for longer. Although most donkeys maintain condition with ease there are always some exceptions to the rule! 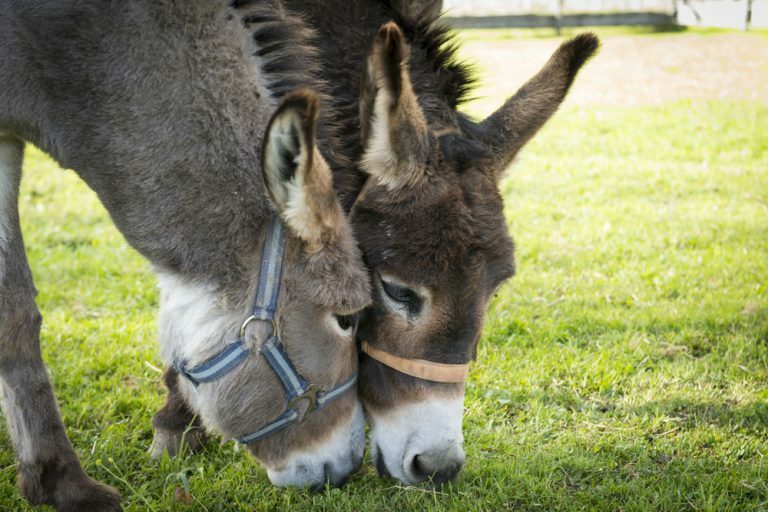 Using more digestible fibre sources such as the Alfa-A range can be a useful way of satisfying the donkey’s fibre appetite and promoting condition. Harry weighs 110kg and has always struggled to maintain his weight as worm damage occurred when he was younger. Harry also suffers with laminitis so needs a low sugar and starch ration. Harry is already fed hay to appetite, but to help promote weight gain Harry is now also fed 1kg of Alfa-A Molasses Free. Alfa-A Molasses Free contains pure alfalfa with a low sugar coating and mint flavouring suitable for donkeys that struggle to maintain condition, but require a low sugar diet. If you would like more information please call our feedline on 0845 345 5115.